Spotted at lunch at my dinner table. Micro-Bash is all tuckered out! 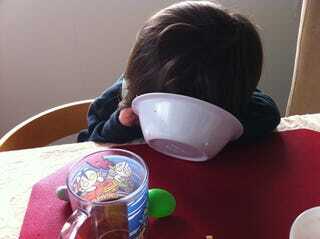 While eating, the child feel asleep. He was put to bed right after this pic.